How many times have you ever found yourself wondering what does 30g protein look like? Are you worried about portion control and trying to figure out exactly how many carbs and proteins are actually in a meal? If you nodded your head as you read that sentence, this post was written for you. Not only will this article help you understand estimating or counting carbs and proteins in food, but you’ll also get your eyes on a helpful printable cheat sheet at the end of this post that will visually show you what 30g carbs/30 g protein actually looks like which will help you with your keto portion control. What Does 30g Protein Look Like? What does 30g carbs look like? We will discuss how much protein to enjoy each day in a future article. The question of protein goals/limits is an entire article in itself. Why? Because if you ask 10 experts about protein, you’ll get 10 different answers. So this article is just to give you a visual guide to counting/visualising what does 30g protein look like. Before we really dive into what does 30g protein look like, let’s discuss portion control and break it down. It’s important to say that no matter what, food portions do matter. While many people believe you can eat as much food as you like, as long as it’s low-carb or keto, it’s a myth I want to bust. Why? 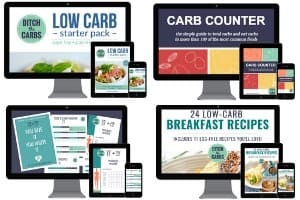 Because after helping millions of readers each and every month, running my FREE low-carb support group and my 4-week quickstart course I see the same problem time and time again – overeating large portions of low-carb and keto meals. Poor portion control (or portion distortion I often call it) is the most common mistake beginners make. Suddenly when cheese, butter, cream, chicken with the skin on and juicy fat steaks are back on the menu, too many people go overboard and end up overindulging. Those who are desperately trying to live low-carb but not getting the results they crave – because their portion sizes have not reduced as they lower their carbs and amp up their healthy fats. When we eat higher healthy fats, it helps keep us satiated for longer AND helps reduce our appetite. Key Takeaway Note: portion sizes should naturally and gradually decrease. While limiting unhealthy foods is extremely important, moderation of your keto portion control is also key! One aspect that many people fail to understand about weight loss is that there is a difference between a serving size and a portion size. Due to varying food regulations, all food items that are sold have to have some sort of label on them showing nutrition, calories, fat, ingredients, serving size, etc. Anytime that you read the term “serving size”, that doesn’t mean that it’s actually the same thing as a portion size. In fact, the two are actually quite different. Serving size is a term that often relates to what a food manufacturer wants you to consider to be a serving size. 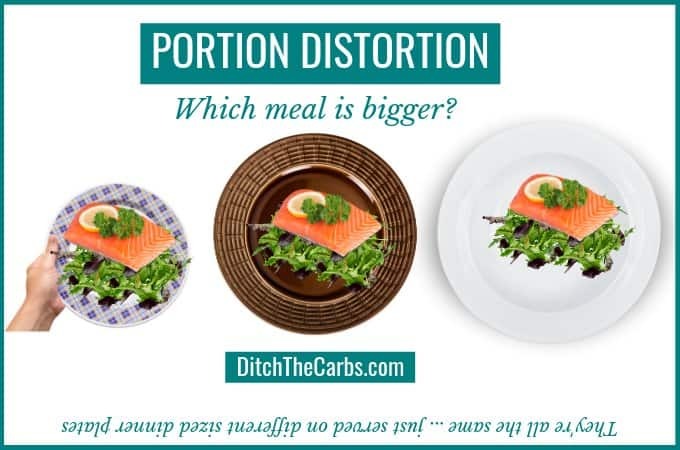 Portion size definition is different. Often times, many people will look at serving size listed on a label and just assume that it’s what they need to focus on solely to achieve their weight loss goals, but they couldn’t be further from the truth. Food manufacturers often suggest a smaller portion size than you would generally eat so to reflect a smaller number of calories, fat, sugar, etc. For example, often sugary fizzy drinks will show a serving size of 1 or 2 serves per bottle/can, but most people would consider one bottle/can to be one serving. Granola may often say a serving size is 1/2 cup whereas most people would actually serve themselves up to 2 cups, and sometimes go back for second helpings. 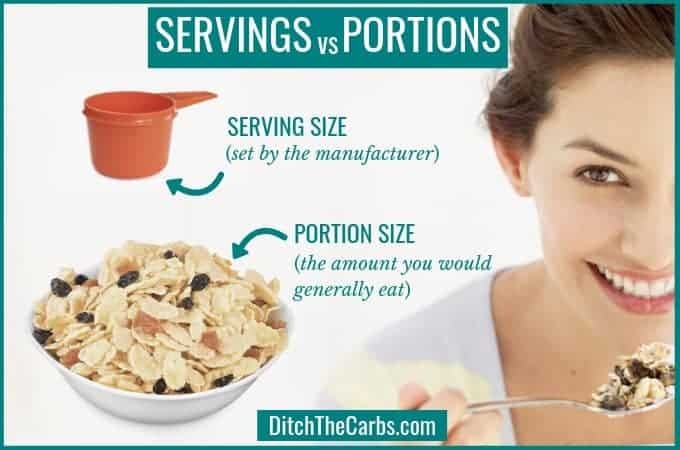 Now that we’ve dived into the differences of wording, it’s time to show you what varying food portions look like that have the same carb and protein amounts. It’s almost mind-blowing to see the varying portion sizes and understand that they are actually equal in terms of protein! What many people fail to understand when just starting out on their low-carb and keto journey, is that 100g of chicken, beef or salmon is NOT equivalent to 100g protein. 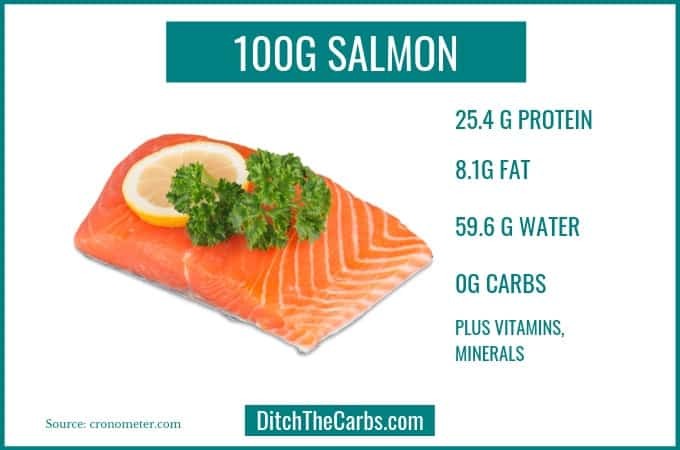 How Much Protein Is There In 100g Salmon? Meat is made from protein, fat and water. So 100g of cooked salmon equates to only 25.4g protein, the rest is made from water, fat and trace vitamins and minerals. 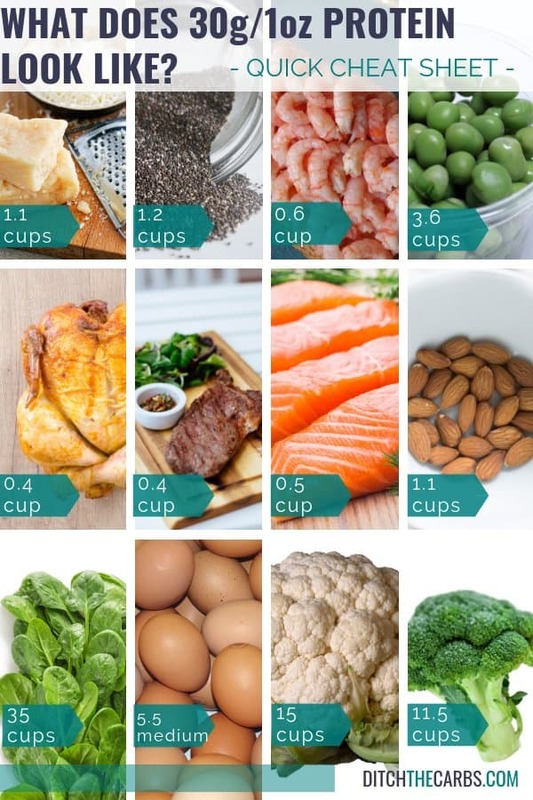 Looking at the chart above, What does 30g protein look like, you can immediately see that eating 35 cups of spinach has the same 30g protein as consuming 1.1 cups of almonds or 0.4 cup steak. Now not all protein sources can be regarded in the same way. Vegetable proteins will not contain complete proteins and vitamin B12 for example. 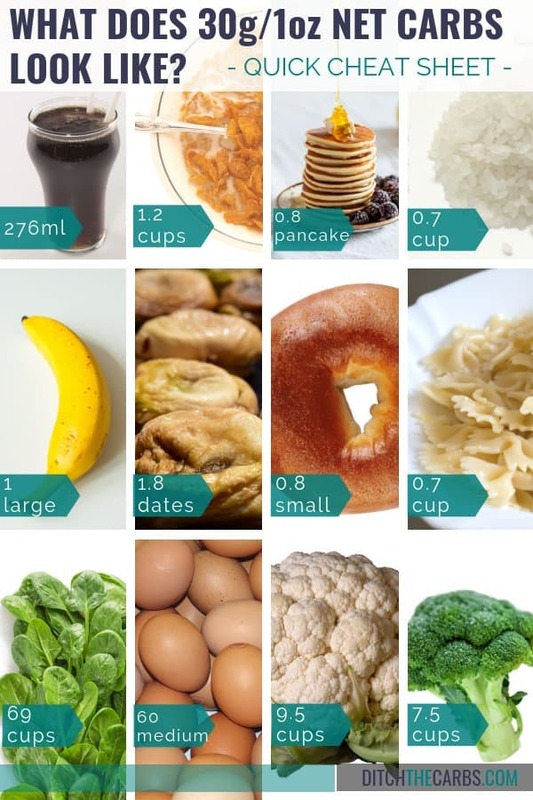 But this chart is purely a visual reminder to help you with portion sizes. Or what about the fact that a 0.5 cup of salmon and 5.5 eggs have the same amount of 30g protein? When you start living low-carb, you already know to eat low-carb foods that you can eat more of to help you feel fuller longer! The same thought process goes with protein as well! A previous article in this series discussing portion control, I showed you what 30g of carbs look like. Who would have thought that 30 eggs and 1 large banana both have 30g carbs? I know which one I’ll be basing my daily meals on (bye bye bananas, hello eggs any way I like). In the article, I discussed how everyday foods affect your blood sugar control, do you have insulin resistance and how to make low-carb nutrient dense meals to help you crowd out the junk. To read the full article – CLICK HERE. What about the fact that 9.5 cups of cauliflower has the same 30g carbs as eating 1.8 dates? When eating a lower carb diet, you may want to double check that you’re eating foods that are going to help you feel full longer. Everyone can probably agree that eating 9.5 cups of cauliflower will keep them fuller much, much longer than consuming 1.8 dates, right? To download and print both the cheat sheets, CLICK HERE. Let’s be real and honest for a moment…getting started and being aware of portion controls isn’t always the easiest. It does take a little bit of time to get used to and many are surprised at how much they are overconsuming when compared to a tried and true portion to eat. All of us all probably guilty of this, but if we eat off of a large plate, we tend to want to fill that plate completely. Makes sense, right? Instead of setting yourself up for that issue or difficult decision, why not just donate your oversized plates and eat your meals on smaller plates or bowls. That way, you still get the appearance that you’re plate is full, but you know the portions are smaller just because the plate is smaller as well. Sometimes, life happens. If you find that there’s a possibility that a portion was eaten that was larger than intended, don’t stress. Everyone is human and mistakes do happen. The best thing to do is to acknowledge how and why it happened and put the best foot forward to get back on track with the next food item. The great thing about food portions is that miscalculations can be corrected with ease. And as long as you are tracking your portions, you can simply reduce the size of your next meal. Remembering all the varying portion control tips may start to overwhelm, so why not get some help? There are actually dishes and plates out there that are divided into small portions that will remind you, without feeling as though you have to actually remember on your own. And why not join my FREE support group. 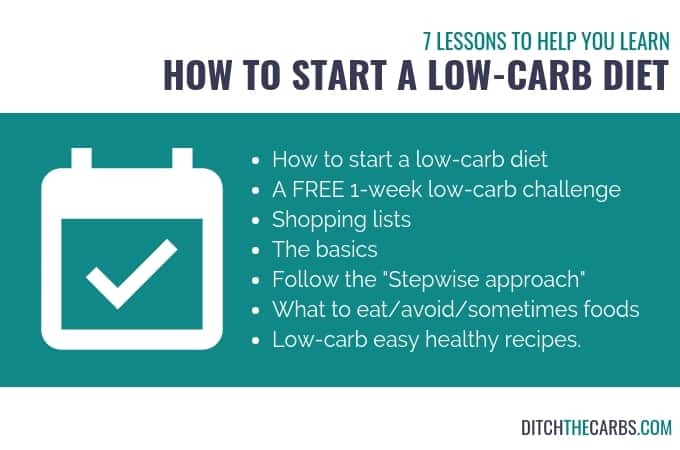 You can get all the tips you need to be successful when starting low-carb. When changing up your food portions, no one is going to hold you accountable, but you. If you allow yourself to keep eating the same portion sizes that you did before you went low-carb, you’ll take longer to reach your weight loss goals. For most beginners, they begin by enjoying low-carb foods THEN the longer they live low-carb they naturally want smaller meals. BUT it is a total mind shift. I still have to mentally remind myself to serve myself smaller meals. This can be one of the hardest habits to break and one of the last things to swap mentally BUT it is the most successful aspect to losing weight life long and finally reaching your weight loss goal. Using the cheat sheets above to help you better understand your carb and protein food portions will be a great way to keep your healthy eating habits on track. There’s never been a better time than now to start your healthy low-carb lifestyle! After seeing the images above, and realising how high-carb everyday foods are, you may be contemplating starting low-carb. My advice is always to start slowly. Cut out the most obvious places that sugar and carb lurk and the worst offending items. It may seem like a daunting task when you begin, but each little step brings you closer to living on real food, whole food and unprocessed food that is lower in carbs. If you would like to start, READ THIS PAGE. It has all the resources you’ll need.